EXata is a comprehensive suite of tools for emulating large wired and wireless networks. It uses network emulation and simulation to predict the behavior and performance of networks to improve their design, operation, and management. EXata provides a cost-effective and easy-to-use alternative to physical testbeds that typically have high equipment costs, complex setup requirements and limited scalability. Computer Vision System Toolbox™ provides algorithms, functions, and apps for designing and simulating computer vision and video processing systems. You can perform feature detection, extraction, and matching; object detection and tracking; motion estimation; and video processing. 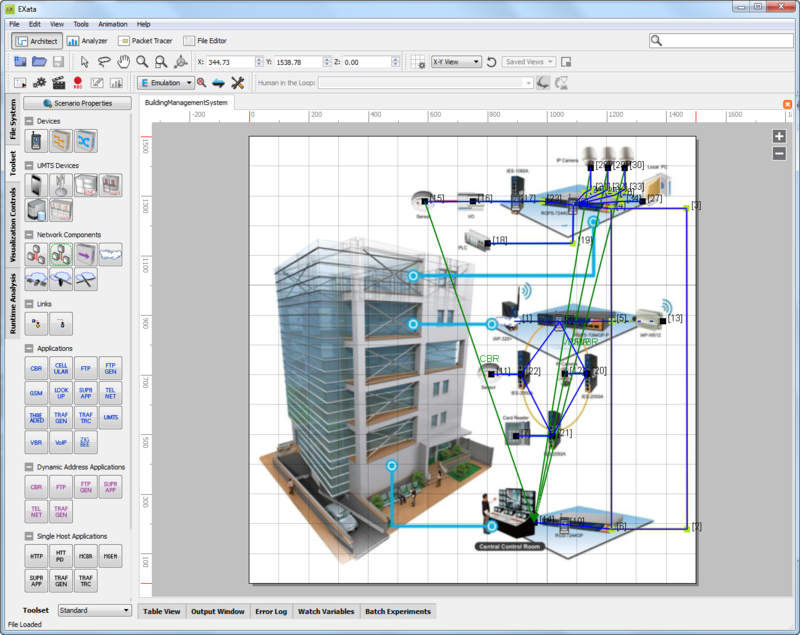 For 3-D computer vision, the system toolbox supports camera calibration, stereo vision, 3-D reconstruction, and 3-D point cloud processing. With machine learning based frameworks, you can train object detection, object recognition, and image retrieval systems. 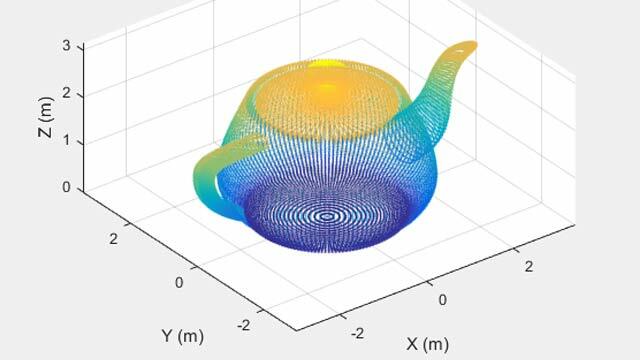 Algorithms are available as MATLAB® functions, System objects™, and Simulink® blocks. 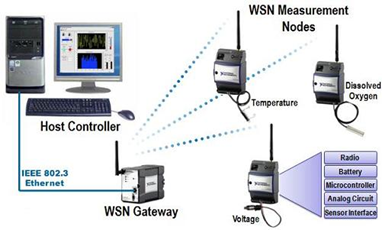 WSN lab provides graduate- and post-graduate students with a platform to implement wireless sensor network scenarios, by combining different types of nodes and gateways, to meet the unique needs of real applications. NI WSN-9792 Programmable gateway: It is a WSN gateway having dual Ethernet ports to communicate with a variety of devices from the LabVIEW Real-Time application. 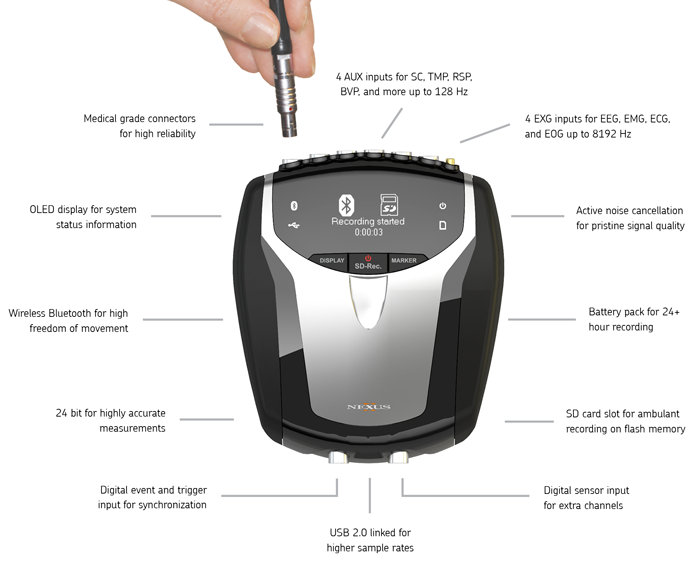 It features a 533 MHz processor, 2 GB of onboard storage, and a 2.4 GHz IEEE 802.15.4 radio to communicate with up to 36 distributed NI WSN measurement nodes. NI WSN-9791 Ethernet gateway: It is a pass-through device that must be connected to a host system. This gateway has a 2.4 GHz, IEEE 802.15.4 radio to collect measurement data from the sensor network and a 10/100 Mbit/s Ethernet port to provide flexible connectivity to a Windows or LabVIEW Real-Time host controller. NI WSN-3202 programmable analog input node: It offers four ±10 V analog input channels with selectable input ranges and four bidirectional digital channels that can be programmed for event detection or local control. The 18-position screw-terminal connector delivers direct connectivity to sensors and offers a 12 V, 20 mA sensor power output that can be used to drive sensors that require external power. NI WSN-3212 programmable thermocouple input node: It provides four 24-bit thermocouple input channels and four bidirectional digital channels that can be programmed for event detection or local control. The node supports J, K, R, S, T, N, B, and E thermocouple types, and each thermocouple input channel can also be used as a ±73mV analog input channel. NI WSN-3230 Programmable 1-Port RS232 Serial Node: It features one RS232 port to communicate with serial-based sensors and instruments. This programmable-only node functions as an autonomous serial interface. Using the LabVIEW WSN Module, we can embed query and parse algorithms directly on the WSN nodes to create a remote, programmable interface to a variety of serial devices. The node also features two digital I/O channels for event detection and programmatic control. NI WSN-3231 Programmable 1-Port RS485 Serial Node: It features one RS485 port to communicate with serial-based sensors, instruments, and control boards. This programmable-only node functions as an autonomous serial interface. Using the LabVIEW WSN Module, we can embed query and parse algorithms directly on the WSN nodes to create a remote, programmable interface to a variety of serial devices. The node also features two digital I/O channels for event detection and programmatic control. NI LabVIEW WSN Pioneer Software: LabVIEW is a graphical development environment with configuration-based tools and powerful programming capabilities for developing measurement, analysis, and control applications with professional user interfaces. LabVIEW and a variety of add-on modules can be used to configure and program WSN for functions such as data logging, event detection, alarming, short message service notifications, and Web-based network data visualization. NI LabVIEW Module Software: It helps to create and deploy embedded applications to programmable NI WSN measurement nodes using the LabVIEW graphical development environment – no embedded programming knowledge is required. J-type thermocouples and Potentiometer Sensors: These sensors can be used to sense the real-time data like temperature and voltage from the sensing field. The many features of SPSS Statistics are accessible via pull-down menus or can be programmed with a proprietary 4GL command syntax language. Command syntax programming has the benefits of reproducibility, simplifying repetitive tasks, and handling complex data manipulations and analyses. Additionally, some complex applications can only be programmed in syntax and are not accessible through the menu structure. The pull-down menu interface also generates command syntax: this can be displayed in the output, although the default settings have to be changed to make the syntax visible to the user. They can also be pasted into a syntax file using the “paste” button present in each menu. Programs can be run interactively or unattended, using the supplied Production Job Facility.